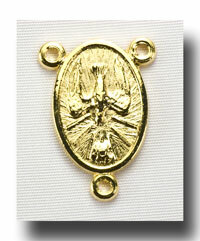 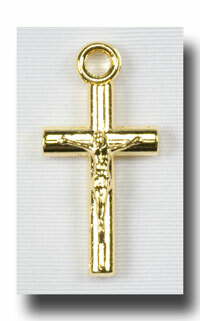 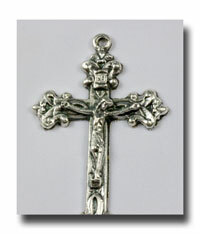 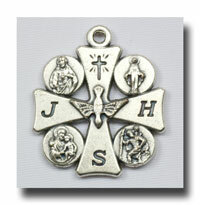 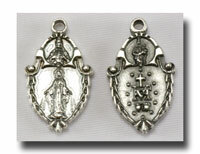 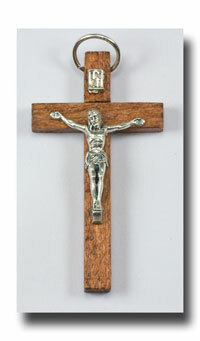 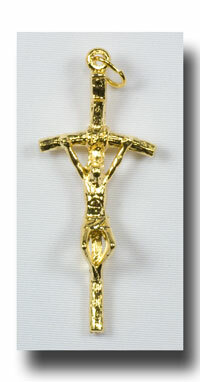 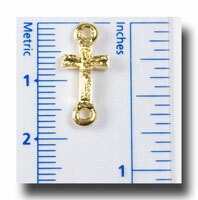 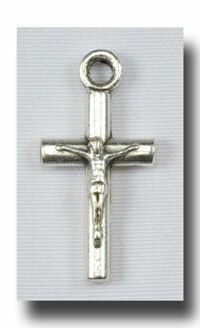 3/4 inch (19mm) two hole connector medal of a Crucifix. 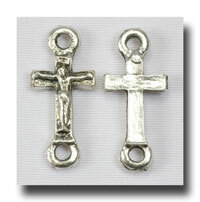 Super handy to fix rosaries by using as Our Father's, or can be used to extend a bracelet rosary or even to replace chain between the decades. 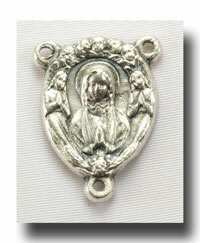 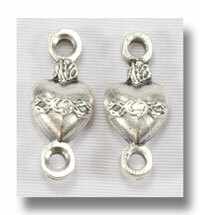 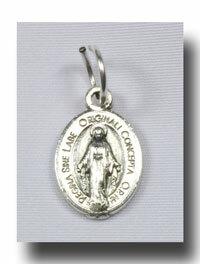 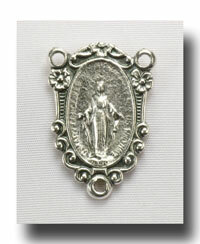 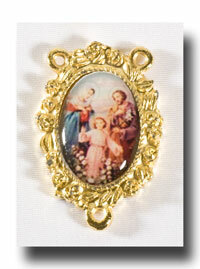 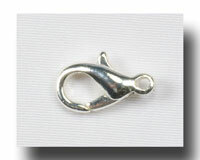 In fact with the two holes, it can be used to make a continuous rosary as well! 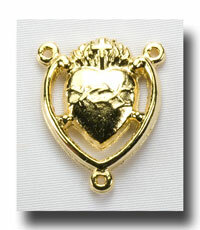 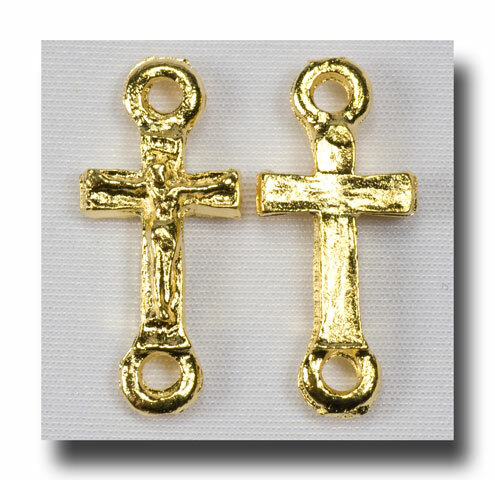 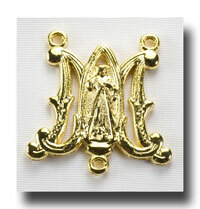 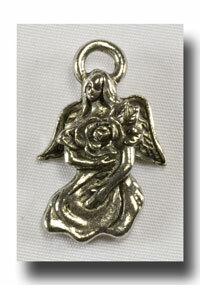 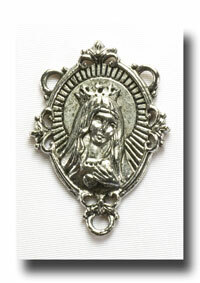 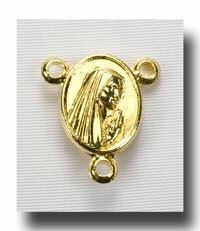 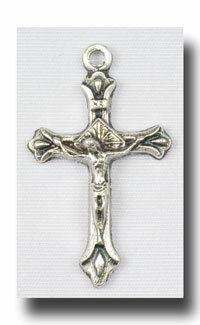 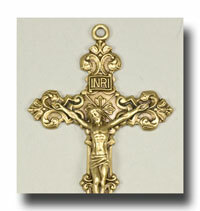 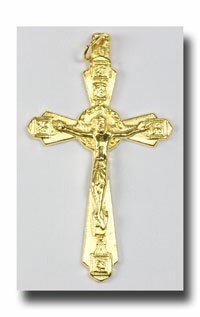 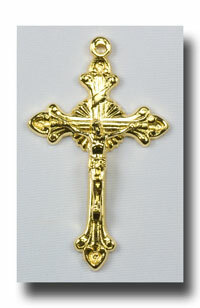 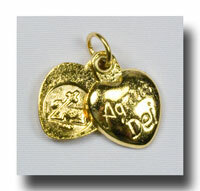 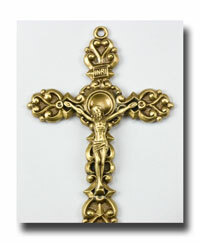 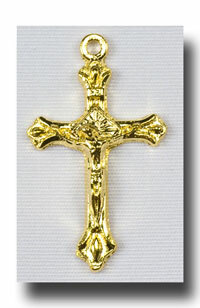 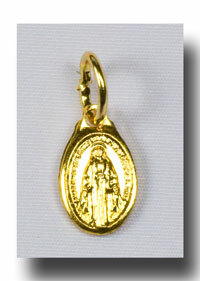 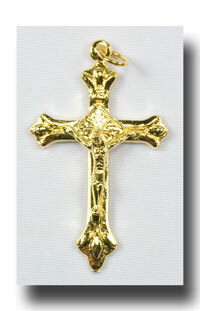 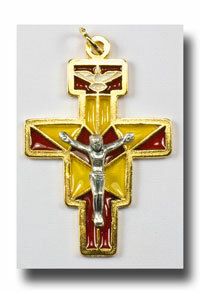 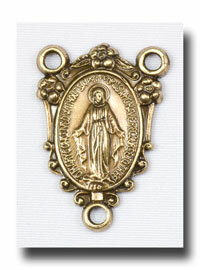 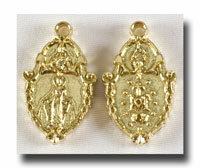 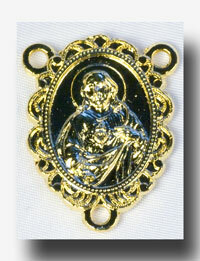 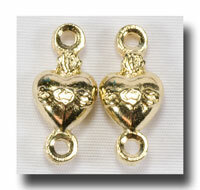 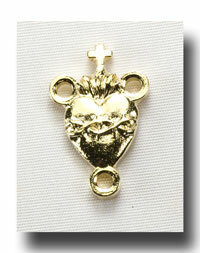 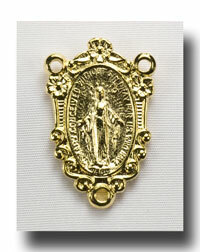 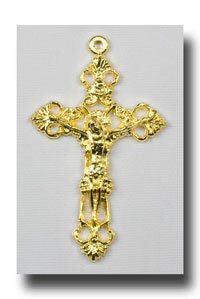 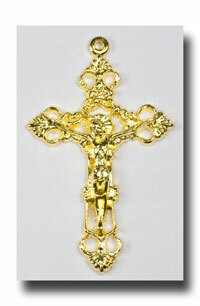 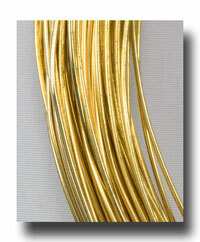 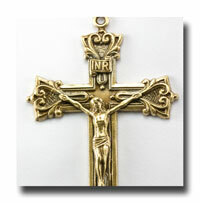 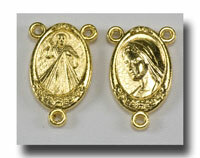 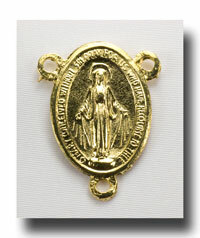 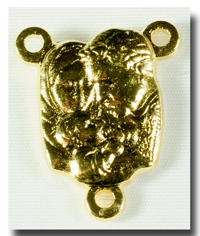 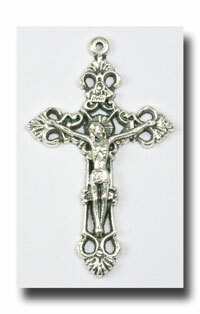 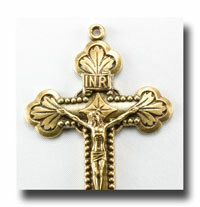 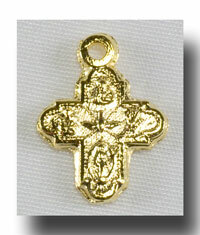 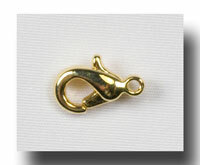 Made from lead-free gilt or gold-tone base metal.